Can anyone ID the state from which this militia soldier comes? He is holding a Peabody rifle, and only the states of Connecticut and Massachusetts purchased that arm. 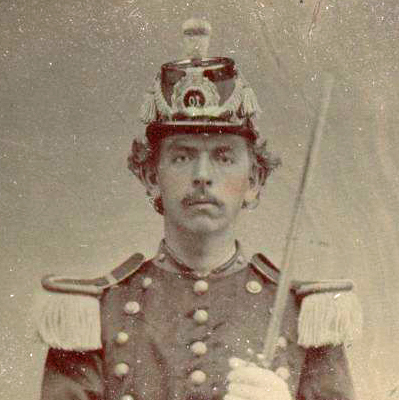 Massachusetts withdrew its Peabody rifles in 1877, but Connecticut retained theirs in use into the 1890s.